University of Southern California's (USC) Division of Biokinesiology and Physical Therapy is using FlightScope in the Golf Intervention for Veterans Exercise (GIVE) study. 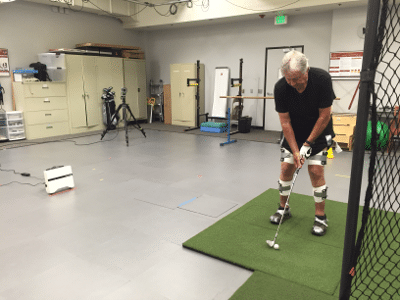 The Institute for Senior Golf Science, one of many USC research laboratories, seeks to develop unique, safe and effective golf training programs for veterans. During the study, researchers use FlightScope data at the beginning and end of each trial to measure participant's improvement overtime.The purpose of the GIVE study is to grow golf participation among older and under-represented adults. Researchers believe that this study will reinforce that golf is the perfect recreational activity for seniors because it promotes well-being and improved quality of life. USC hopes to complete the study by June 2017.